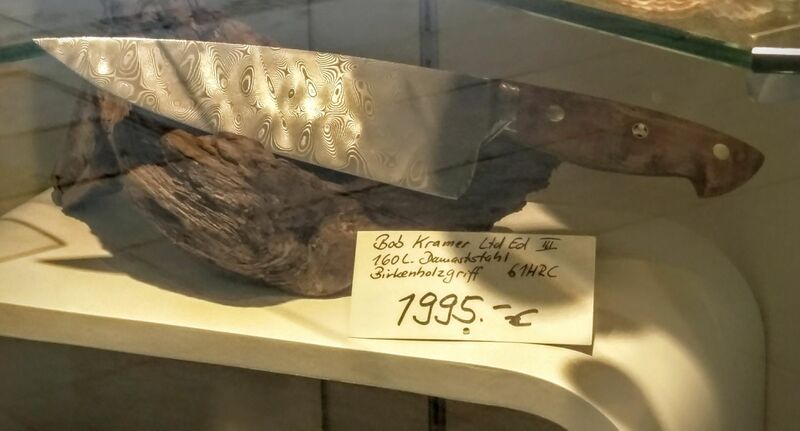 I saw this knife in a display window of the Zwilling knife shop at Marienplatz, Munich. While the price of 1,995 Euro is beyond my perception of any knife’s value, I could not help myself not admiring its shape, balance and finishing. It’s definitely more piece of art than a kitchen tool.